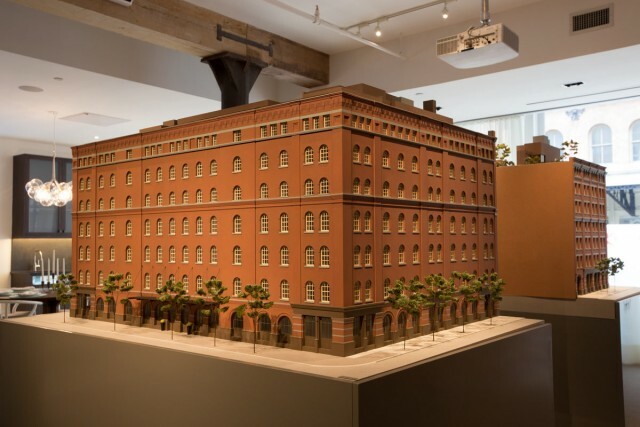 443 Greenwich Street [Curbed]: The seven-story, 200,000 square-foot former factory building at 443 Greenwich Street, in Tribeca, is being converted into 53 condo units, and the above model offers a peek at the exterior, sans scaffolding. Developer Metro Lofts is also constructing a 4,000 square-foot courtyard, and CetraRuddy is designing. 34-32 35th Street [Curbed]: SDS Procida is developing a seven-story, 33-unit residential building — dubbed The Marx — at 34-32 35th Street, in Astoria. An existing two-story townhouse must first be demolished, and Fogarty Finger is designing. 658 Broadway [The Real Deal]: Corner Broadway LLC has plans for a seven-story, 64-unit mixed-use building totaling 93,000 square feet — including 18,126 square feet of commercial space — at 658 Broadway, and also 89 Bartlett Street, in Broadway Triangle. An existing single-story structure must first be demolished. 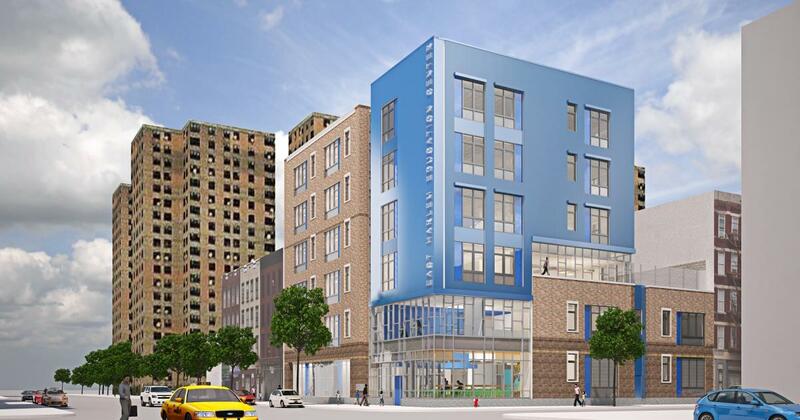 2046 2nd Avenue [DNAinfo New York]: Groundbreaking occurred this week at the site of 2046-2050 2nd Avenue, in East Harlem, where a six-story, 51,286 square-foot charter school is being built. 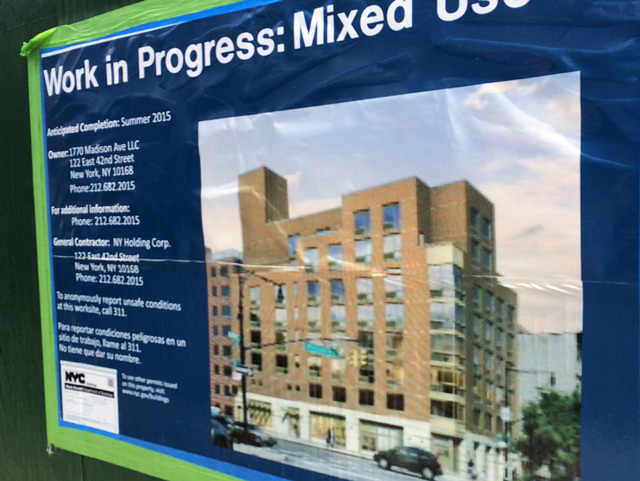 East Harlem Scholars Academy is to call the new building home, and completion is set for 2016. 21-21 44th Drive [The Real Deal]: Slate Property Group has filed plans for an eight-story, 88-unit residential and retail building of 86,712 square feet at 21-21 44th Drive, in Long Island City. The developer expects to close on the property “by early 2015,” and an existing two-story structure would need to be demolished. 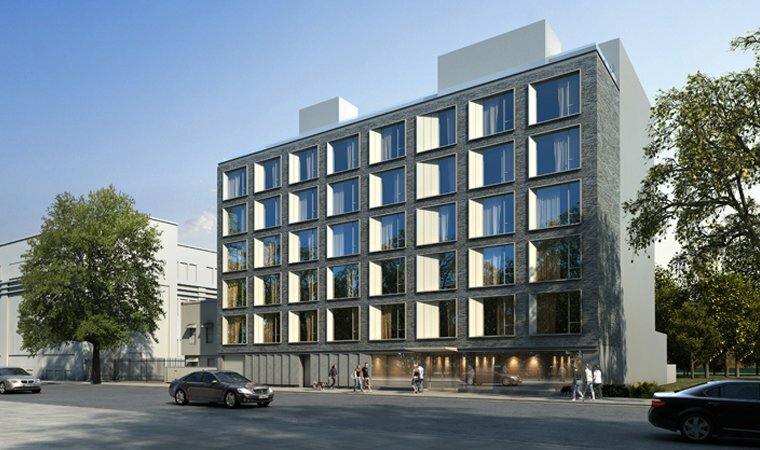 1770 Madison Avenue [Harlem+Bespoke]: The eight-story, 32-unit mixed-use building underway at 1770 Madison Avenue, in East Harlem, has topped out and will soon receive its façade. Avinash Malhotra is designing, and completion is expected in the Summer 2015.